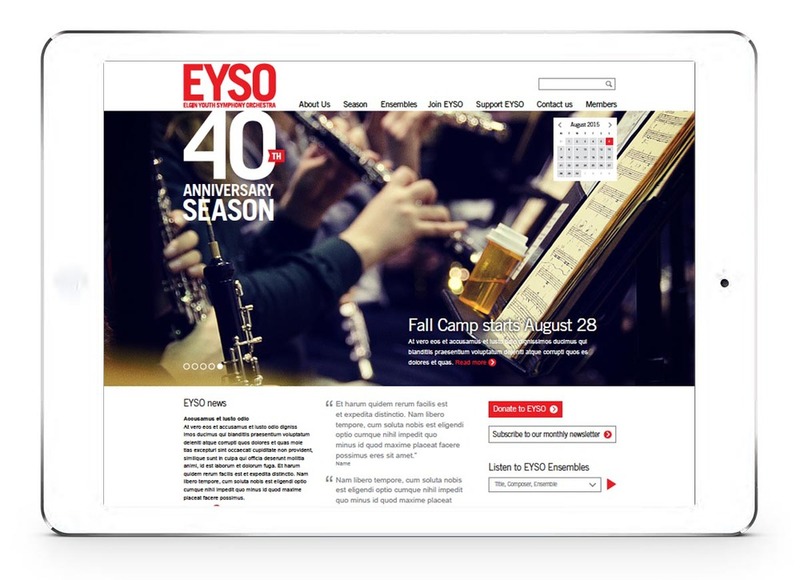 Creating unique branding that matches EYSO's heart. The Elgin Youth Symphony Orchestra is one of the nation's premiere youth organizations. Although they offer several tiers of youth symphonies, their reason for being is a deeper cultural and contextual education for teenage youth. I am humbled by the opportunity to design the branding and communications for three seasons and redesign their website. Go back to my creative projects.